Whenever I look at our Christmas tree, I have to smile. Slowly over the years, all of our beautiful glass bulbs have been being replaced one by one by homemade keepsake ornaments. Our tree is filled with so much love and memories. My daughter has been insistent that our tree doesn’t have enough ornaments this year, so we have been working on filling it up. 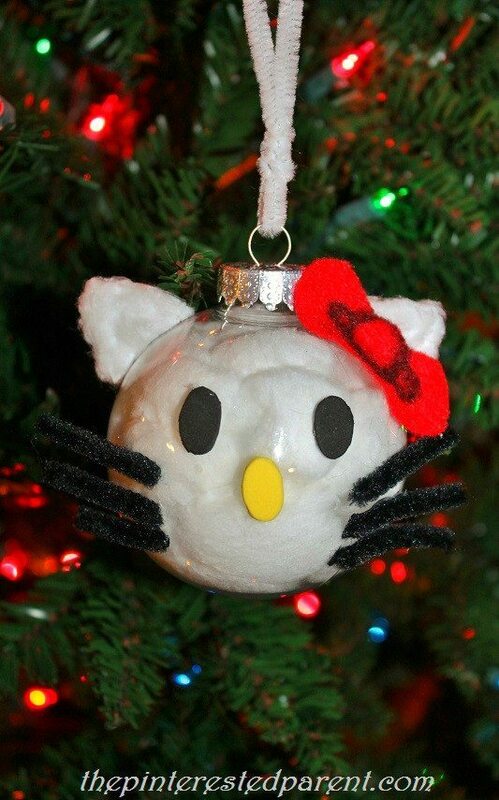 Salt dough ornaments are our favorite. 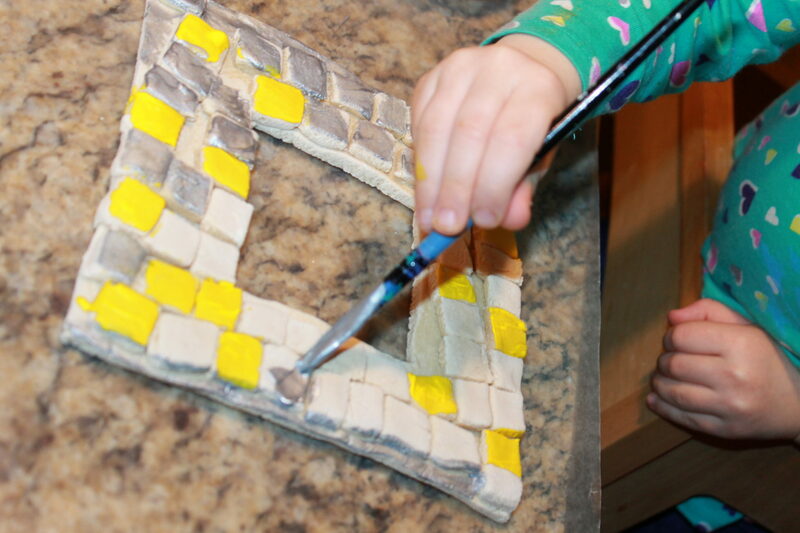 With cookie cutters and paint, there are a million possibilities. We had an idea to press puzzle pieces into our clay to make these “pieces of my heart” ornaments. She asked me to cut her out a heart & she grabbed our bucket of buttons. 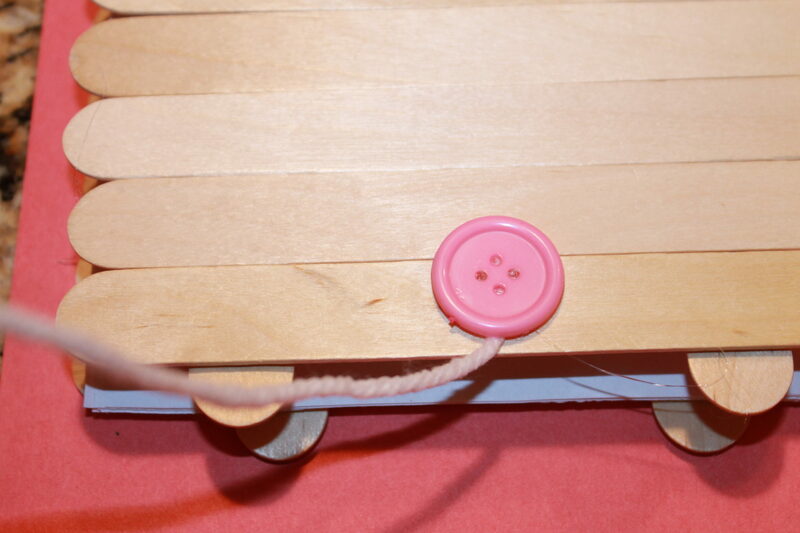 While she worked on her button craft, mommy had one of her own. 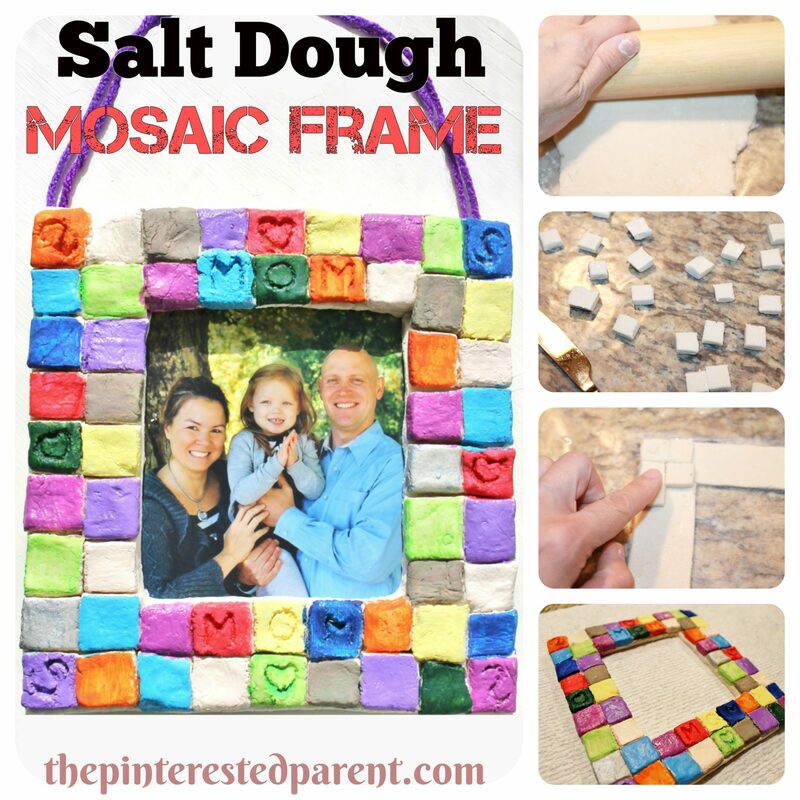 An old frame is perfect for this craft. 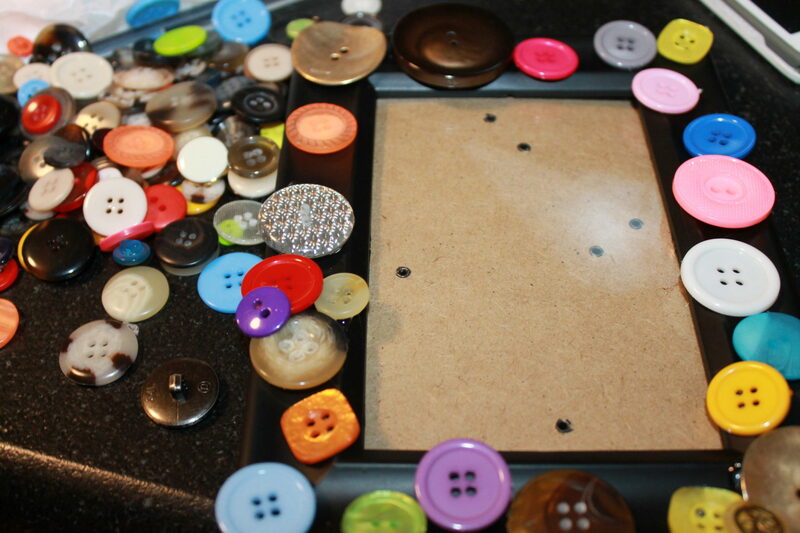 Use a glue gun to glue a variety of different sized and colored buttons to the frame. 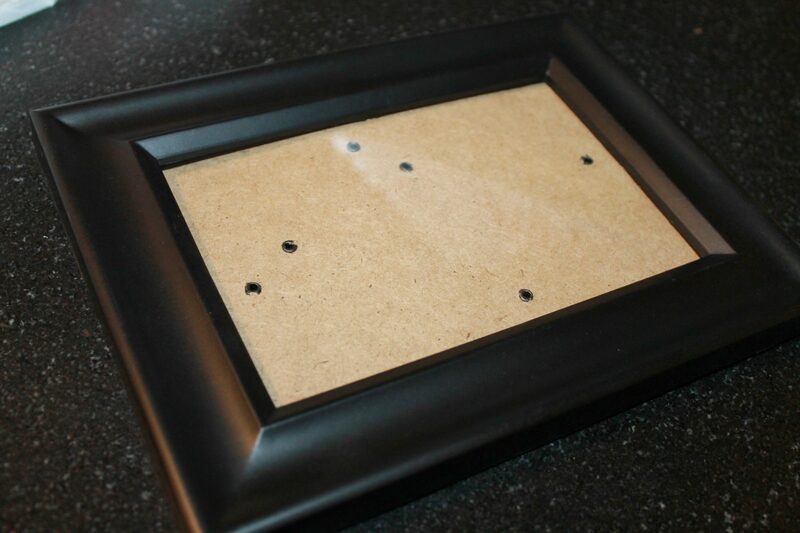 Cover the frame as best as you can using big buttons on the bottom & small buttons on top. Add a little message at the bottom if you choose. 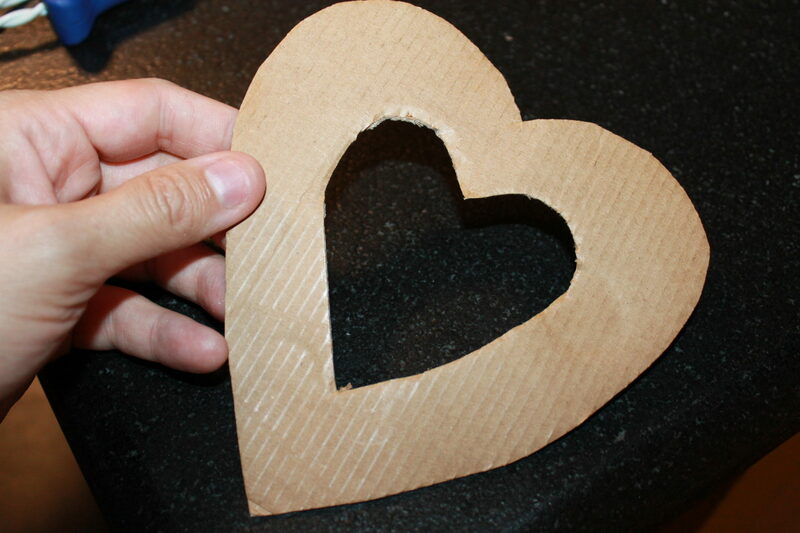 My daughter made one of her own on her piece of cardboard. How sweet is that? 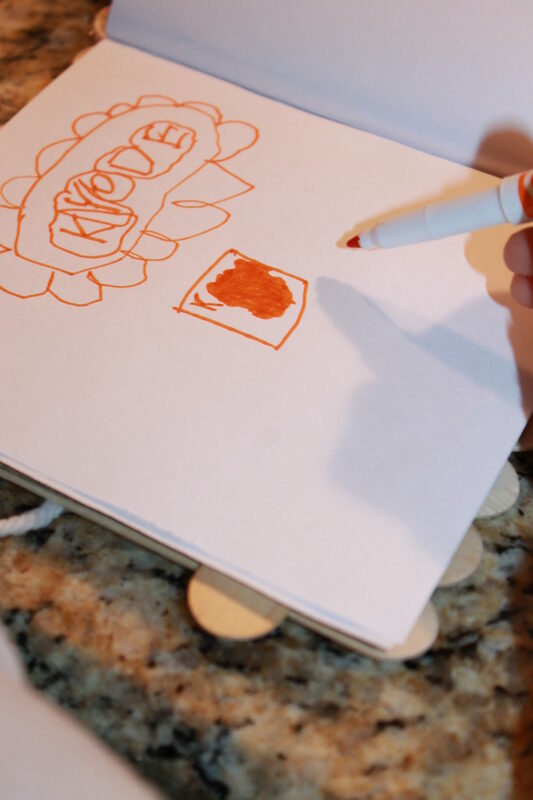 My little girl loves to draw, doodle & write. I have drawings and such all over the house. Very often, she will draw a series of pictures & have me staple them together to make little books & she loves to make up stories to go with all of them. I think this is amazing & just love how imaginative & creative she is. 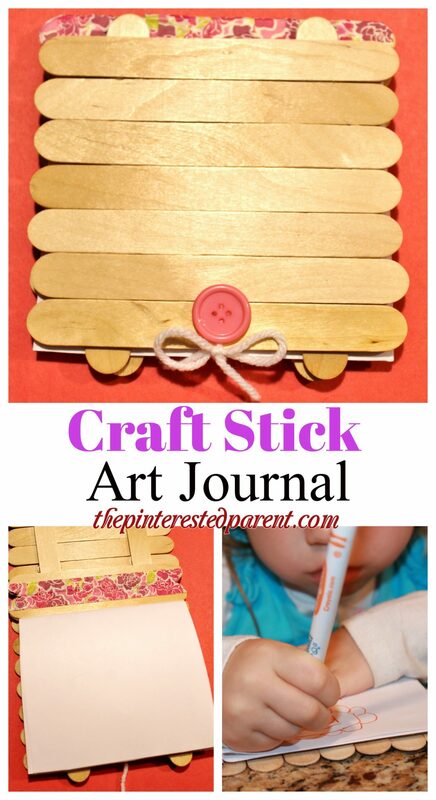 We were playing with craft sticks the other day & came up with the perfect craft for my little artist. 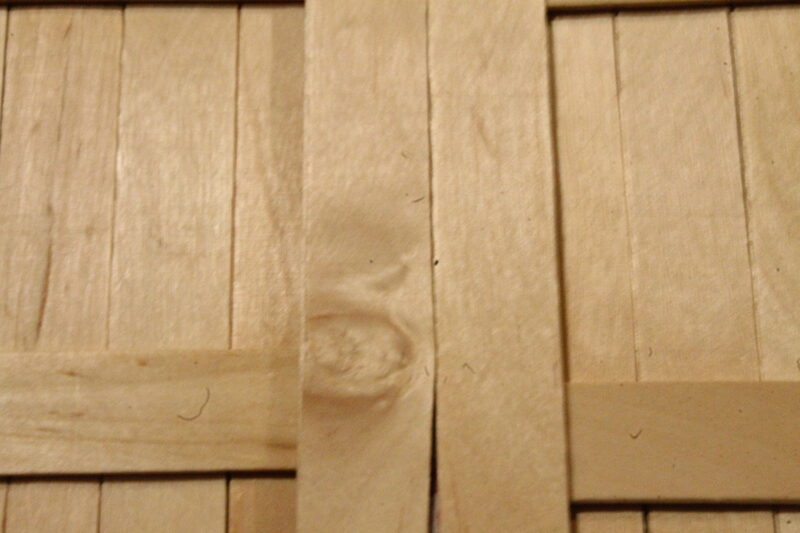 Line up 7 craft sticks in a row & glue 2 sticks perpendicular as shown & then duplicate this process. Glue a stick to one end of each of the above. 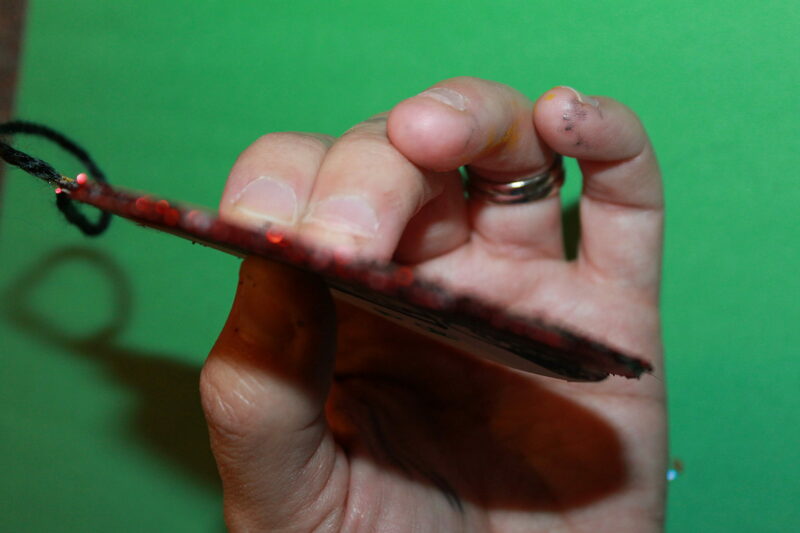 Use the masking tape to connect the two sticks as shown. You should be able to fold the two pieces together like a book. 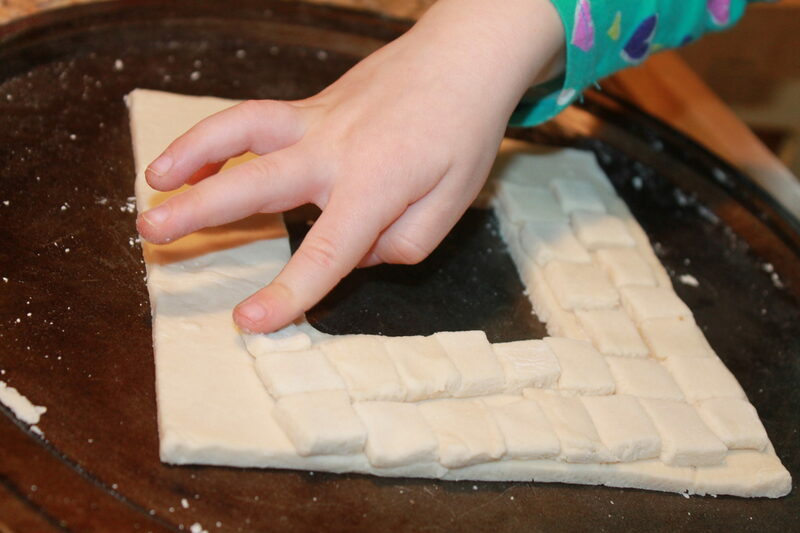 Fold the two pieces with the taped portion inward. Add more tape to the opposite end of those same two sticks. Make sure that you are still able to fold the two pieces together like a book. 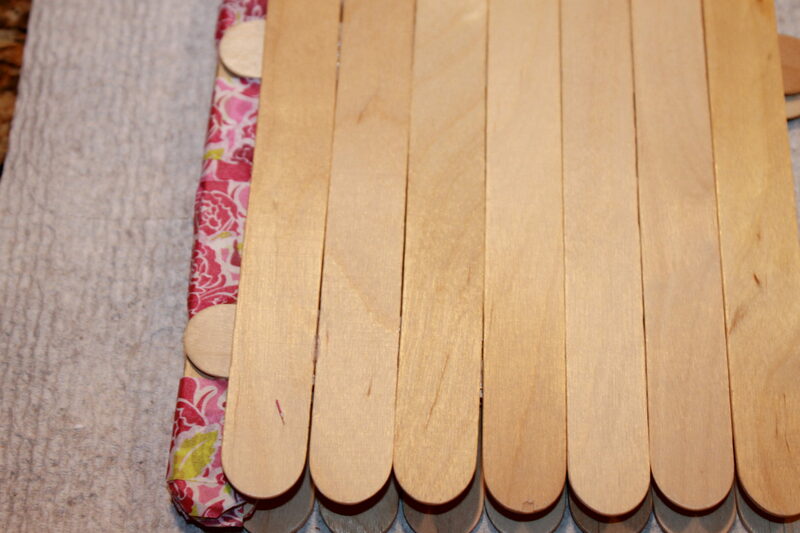 Trim plain white copier paper so that it will fold & fit nicely inside of the Popsicle stick book. 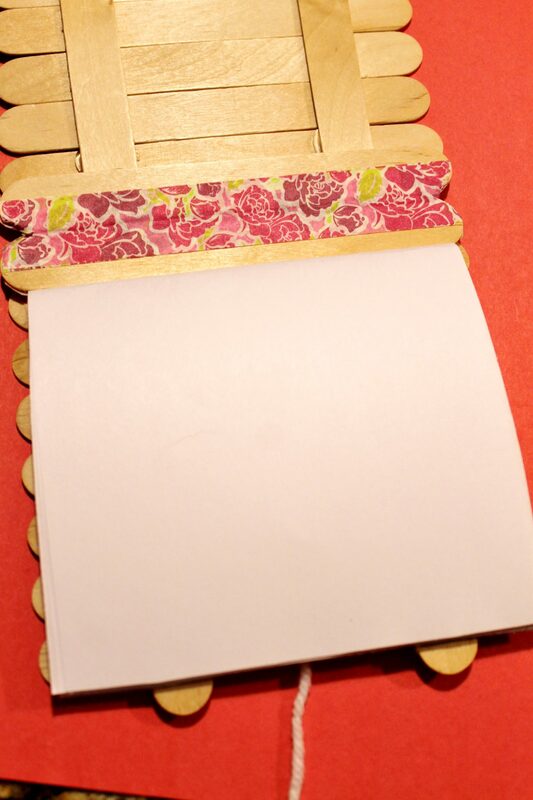 Add a bead of glue into the seam of each piece of paper & bind the pages at the crease. 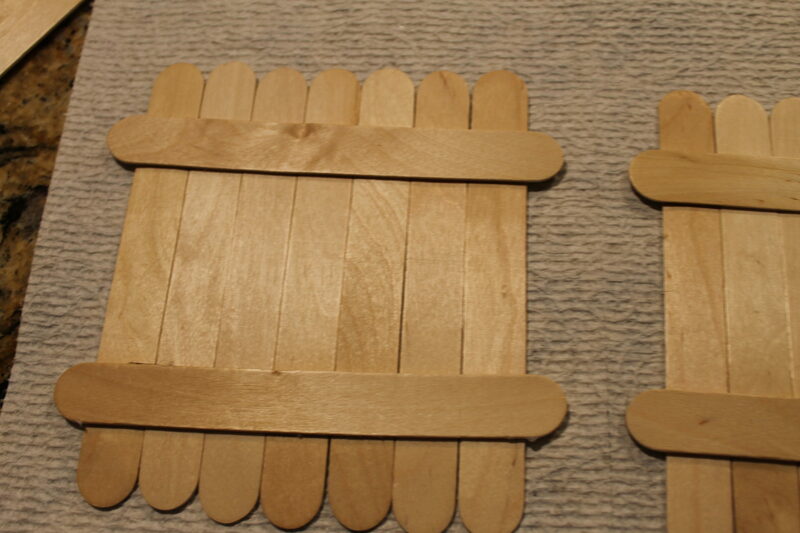 Cut a chunk of rigid cardboard & glue the pieces around the Popsicle sticks on the bottom side of the book. This will make it a easier surface to draw on. Glue the last page of the pages to the cardboard. 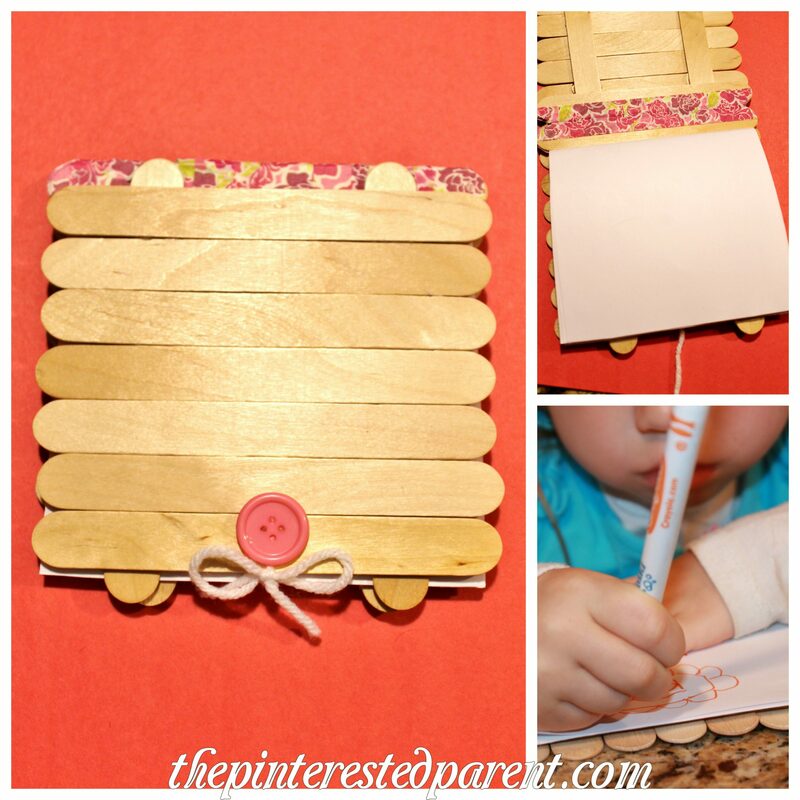 Fold the journal closed & glue a piece of yarn with a button over it to both the top & bottom of the journal. 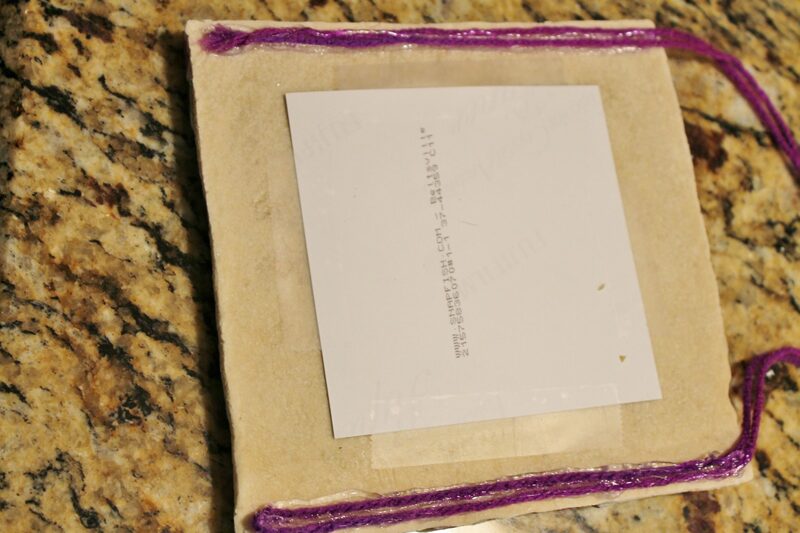 Glue the last page of the pages to the cardboard on the back. Close & tie the strings together to close your journal. My little Picasso loves her new art journal. I hope you do too. 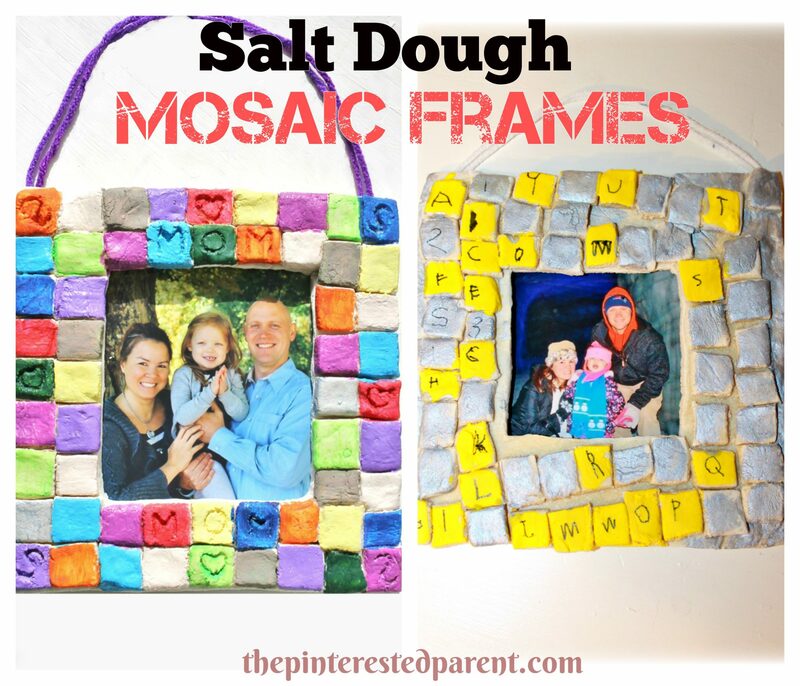 We love clay & play dough projects in our house. My daughter just can’t get enough of it. 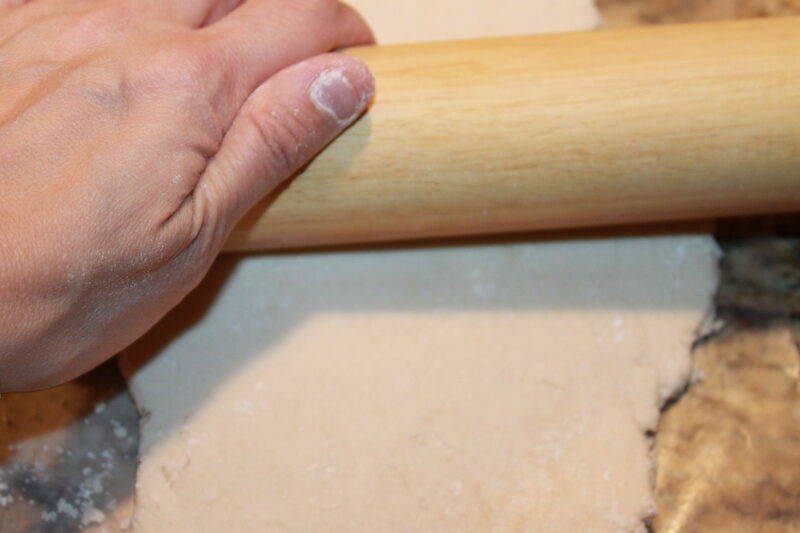 We make new dough every week, sometimes even a couple of times a week. We are just about settled into our new home, but are still missing pictures on our walls. 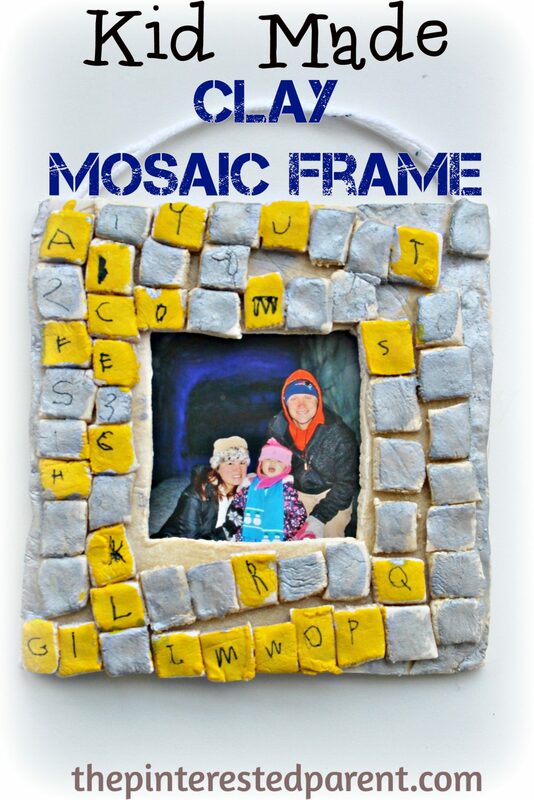 I thought it would be fun for us to make some homemade frames together. We started with a simple clay recipe. 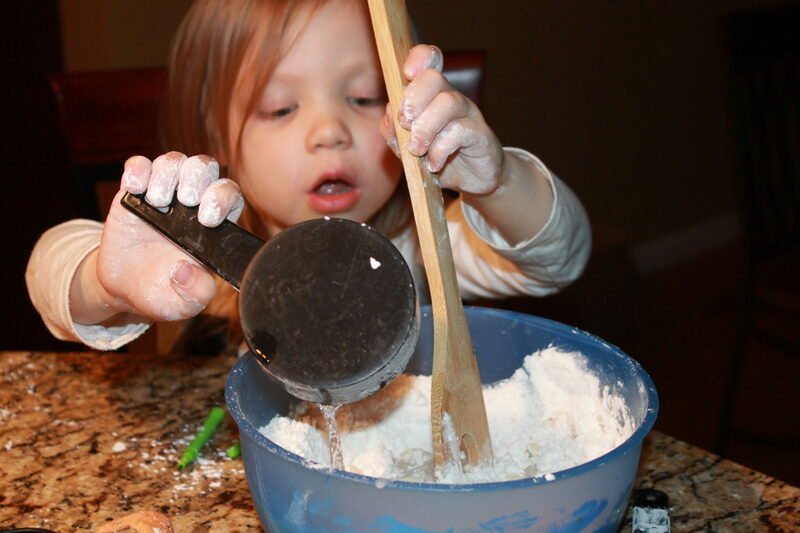 Mix all the ingredients together & then knead with your hands. My daughter always loves this part. You may need to add less or more water. 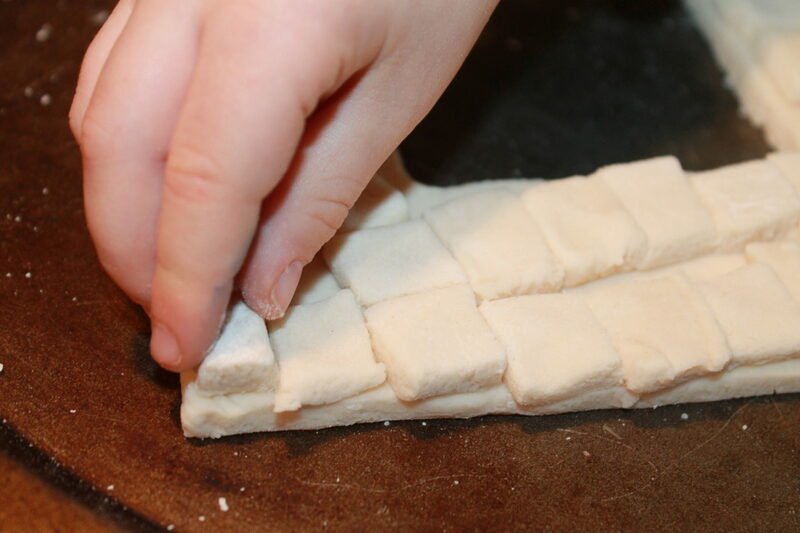 Cut a few long strips out of your dough & then cut into small squares. 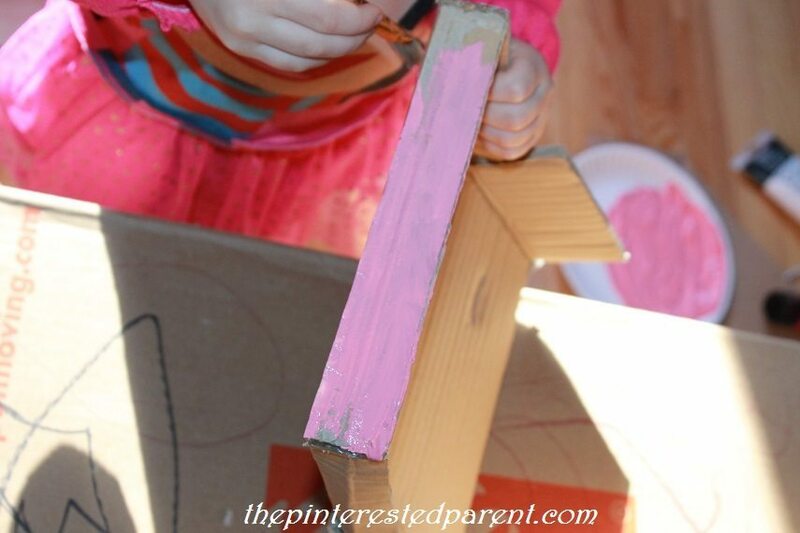 Cut out a shape for your frame & then cut out the inside window. 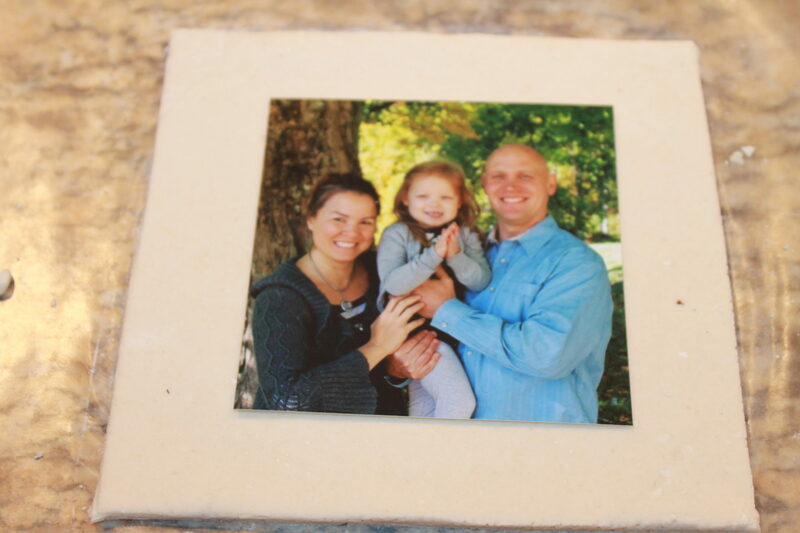 Use a photo as a template to know how big to cut your window. Lightly wet the top of your frame. Press the squares on top until the frame is covered. 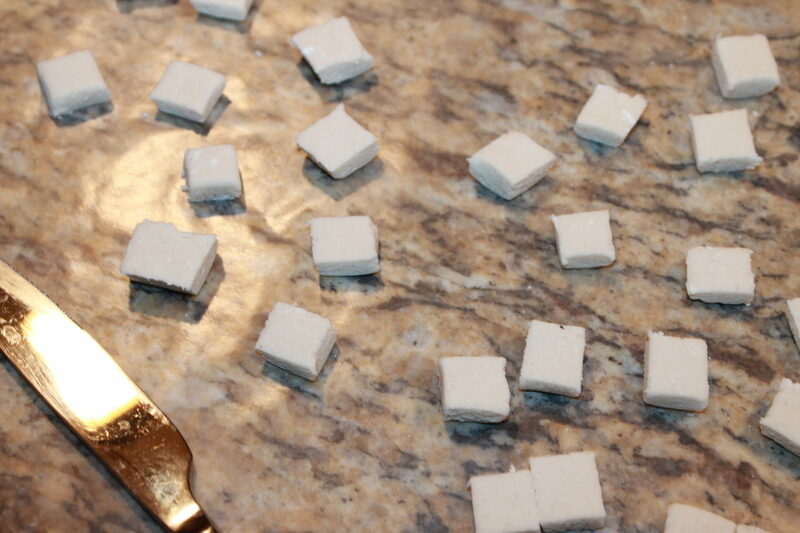 Press the squares in enough so that they stick. For my frame, I etched designs in with a toothpick. Since Mother’s Day is nearing, I thought that a Mother’s Day themed frame would be a good choice. Mai chose to draw in her designs after. Preheat your oven to 250 degrees. Bake for 1 hour & then flip your frame & bake for another hour. 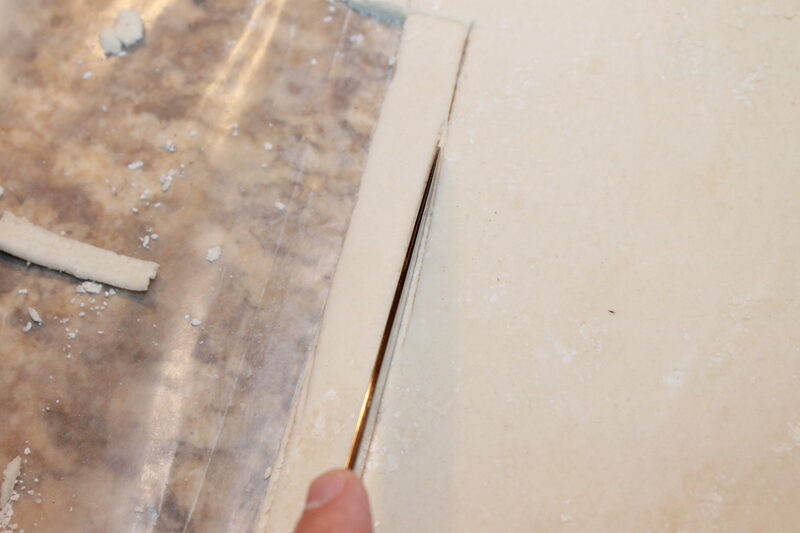 Depending on the thickness of your frame, you might need more or less bake time. When hardened, remove from the oven & let cool. 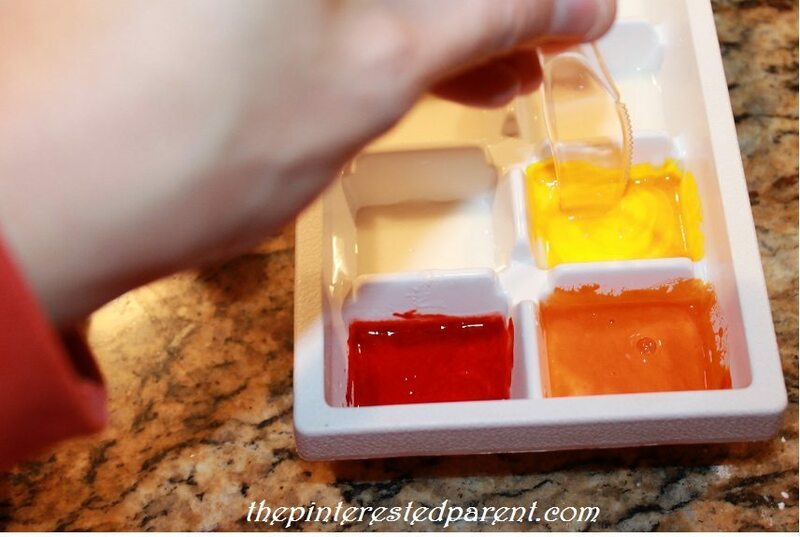 Paint your squares with acrylics or glaze. After the paint dried, Mai used a marker to draw in her designs. 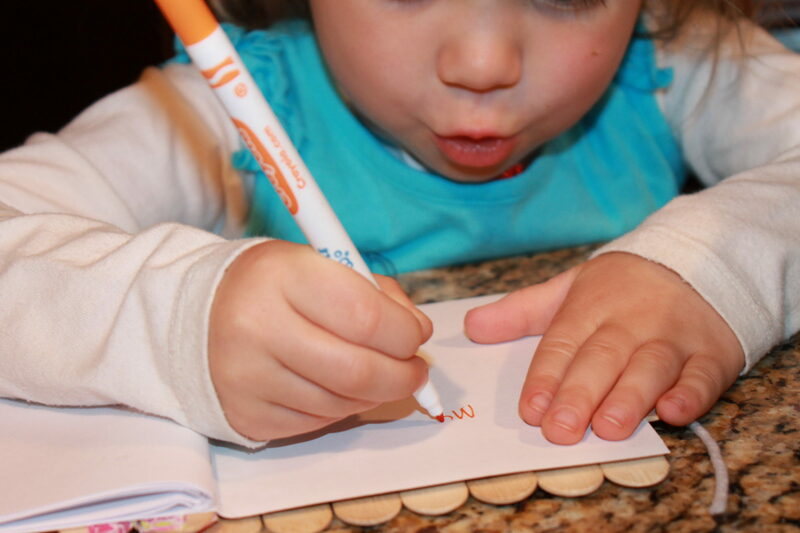 She wanted to write letters & numbers on hers. My daughter was so proud of her finished project. She asked that both be hung in her room. My daughter & I do a lot of painting. Up until now, we worked primarily with acrylics. 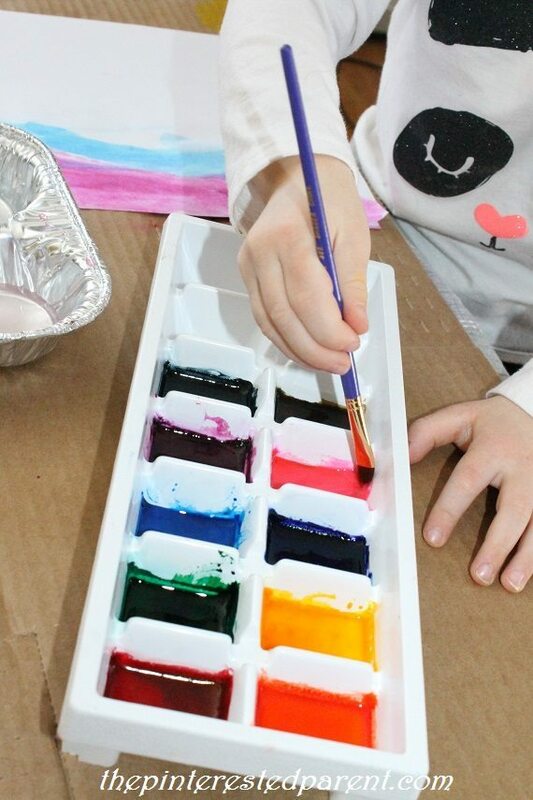 We have a palette of watercolors, but they never seemed to transfer enough color, so when we wanted a watercolor effect we just watered down our acrylics. 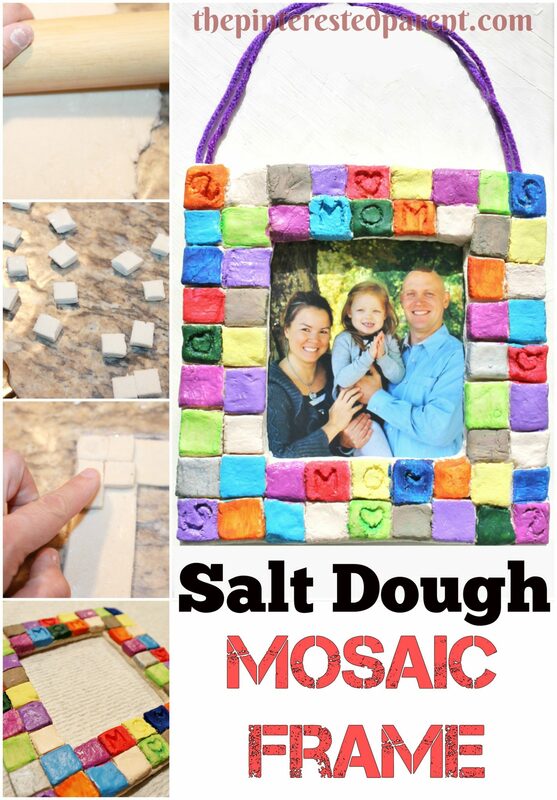 This worked, but was a hassle & made a big mess. I decided to take a stab at making our own watercolors at home. I found a simple recipe on WikiHow. I doubled the recipe & made a slight alteration because it called for corn syrup, which I don’t typically have in the house. I substituted sugar instead. 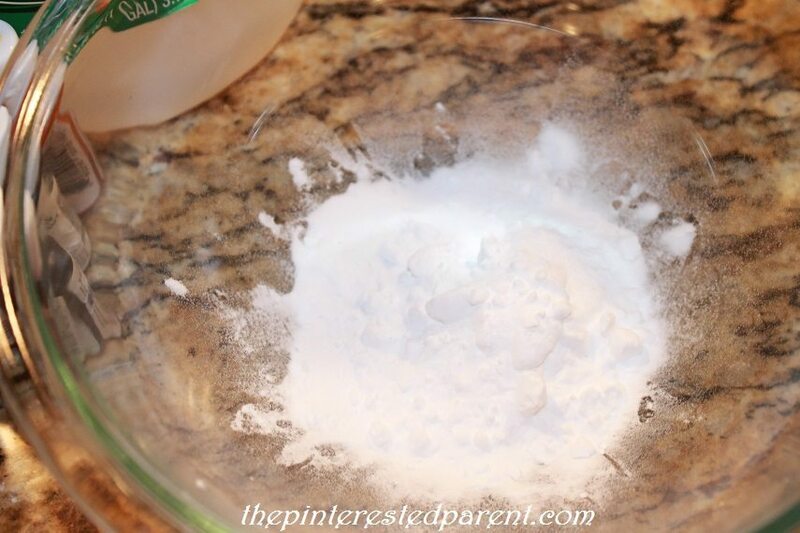 Mix the baking soda and vinegar in a large bowl. This will cause a fizzing reaction. Mix it until fully dissolved & then add the sugar until dissolved as well. Add the cornstarch and stir well. 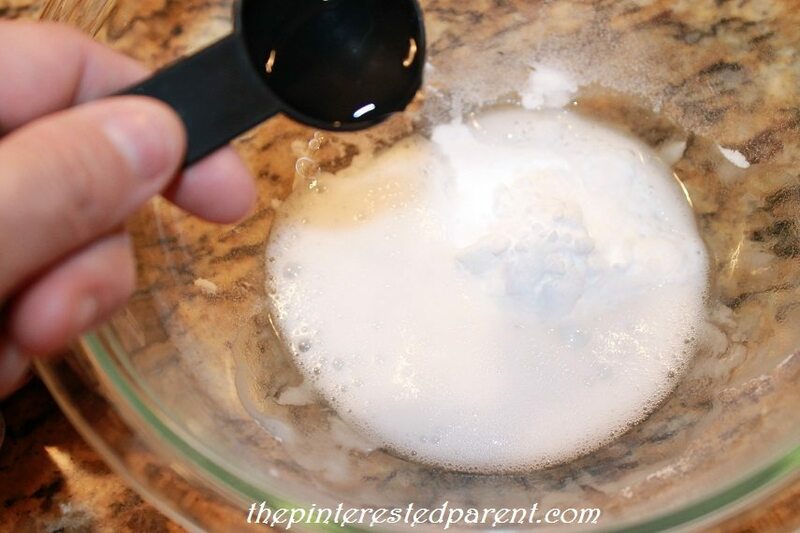 The mixture kept clumping strangely, but it does soften when you stop mixing and will pour smoothly. 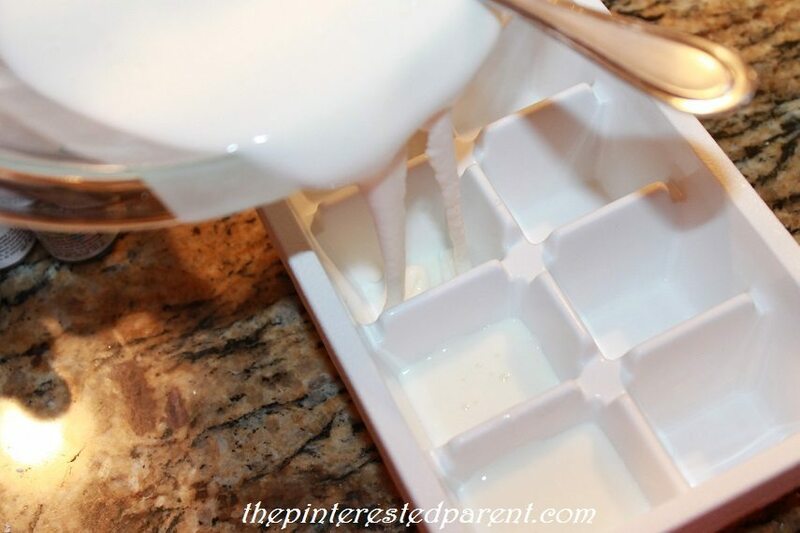 Pour the mixture into an ice cube tray, giving each compartment an equal amount of mixture. We filled them about halfway. 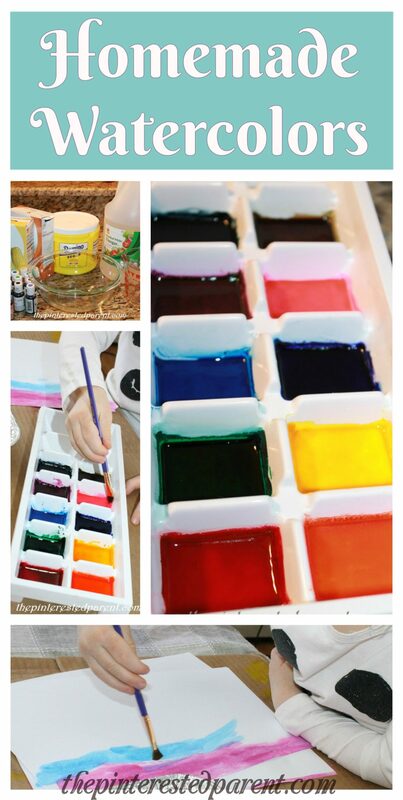 Mix in a drop or two of food coloring or however much it takes to get your desired color. Stir using a knife. We used Americolor Student Food coloring. There colors are bright & vivid and a little goes a long way. We only needed a drop in each compartment. After we mixed all the colors. We ended up with a total of 10 colors. We set them out to dry overnight. In the morning our colors had hardened. It may take longer depending on the room temperature & humidity. Do not store anywhere too humid. We dove into our new paints the next day. They worked beautifully & the colors were lovely. 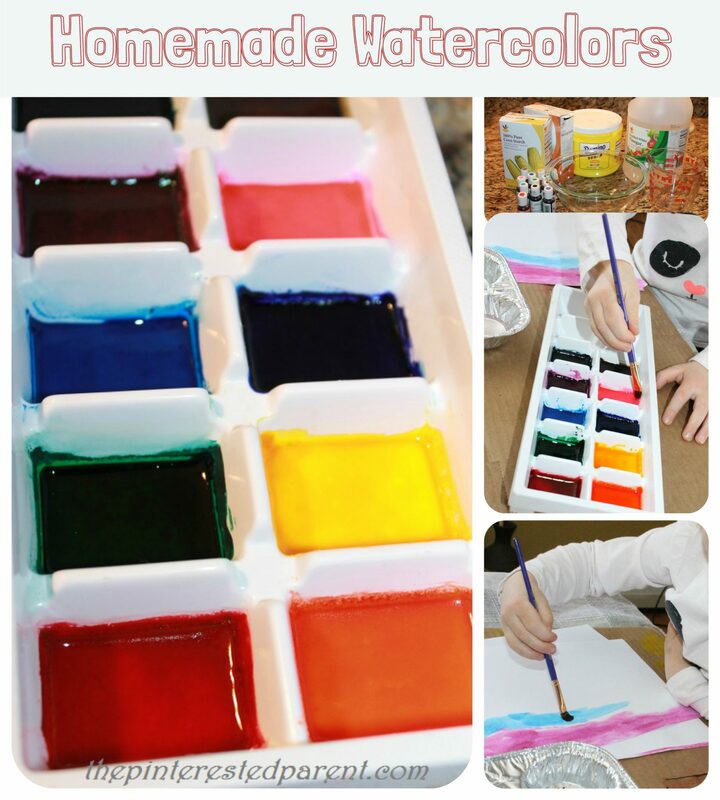 My daughter loved the colors and they were so much easier to use than the store bought ones that we had at home. Stayed tuned tomorrow for the beautiful project that we created with our new paints. We moved into a new house recently. We have been working on unpacking and setting up our home over the last couple of weeks. It is hard to believe that we have so much stuff. The boxes seem endless. Mai has been enjoying playing inside of the empty boxes and we have been having fun repurposing our boxes into new fun creations. My daughter loves to play store. She pretends that she is running her own Stop & Shop all the time. 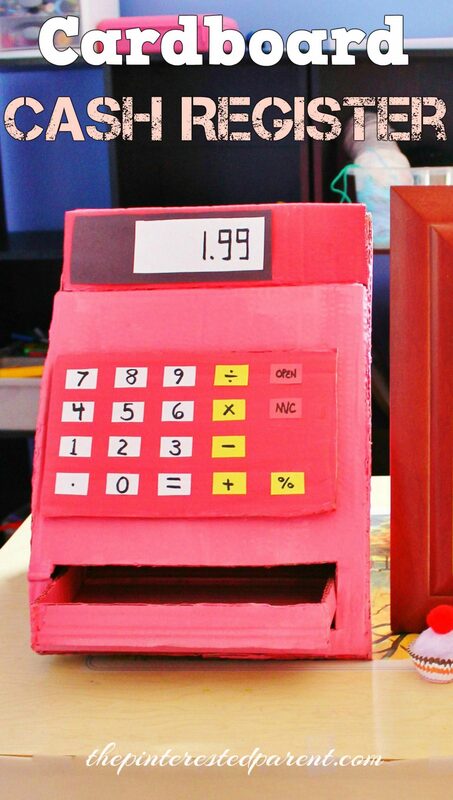 She often uses her calculator as a cash register, but I thought we could make her another one using one of our old boxes. 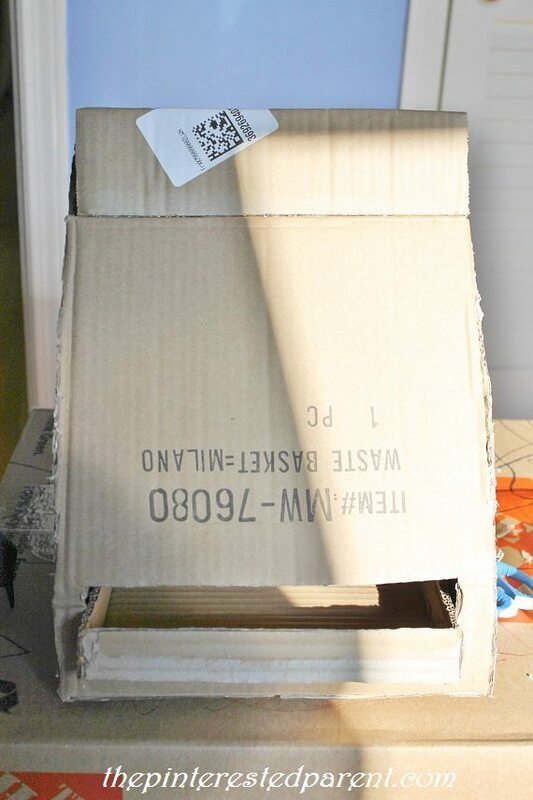 We used a medium-sized box. 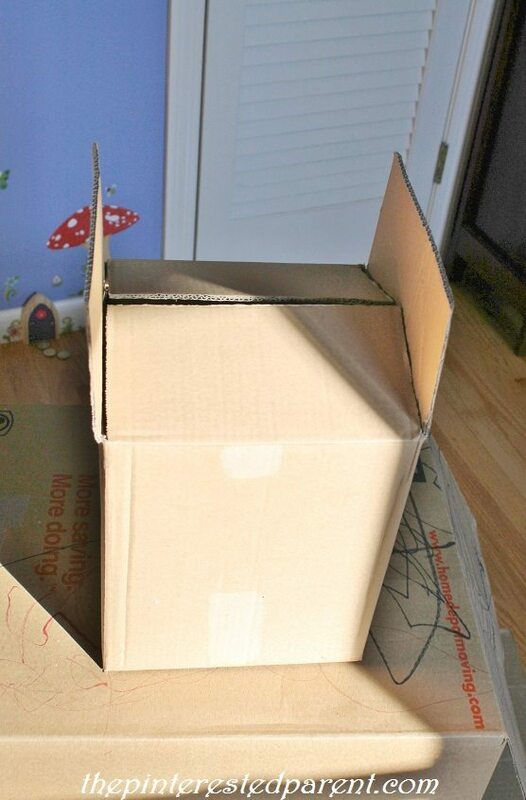 Open both ends of the box. Cut the seams on one of the boxes sides. This will be the front of your register. 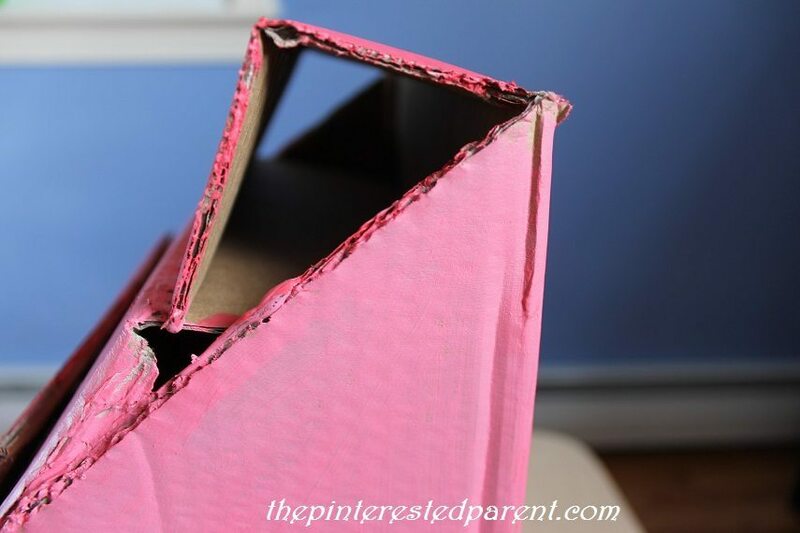 Cut an arc shape on one side of the box & then use the leftover cardboard as a template to cut the other side. This should remove the left & right top flaps of the box as well. 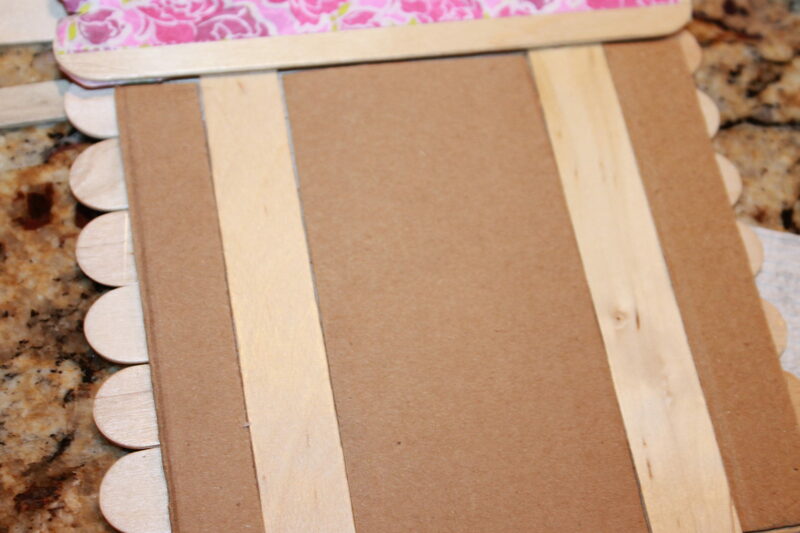 Cut a slot out of the front of the register to add a drawer. 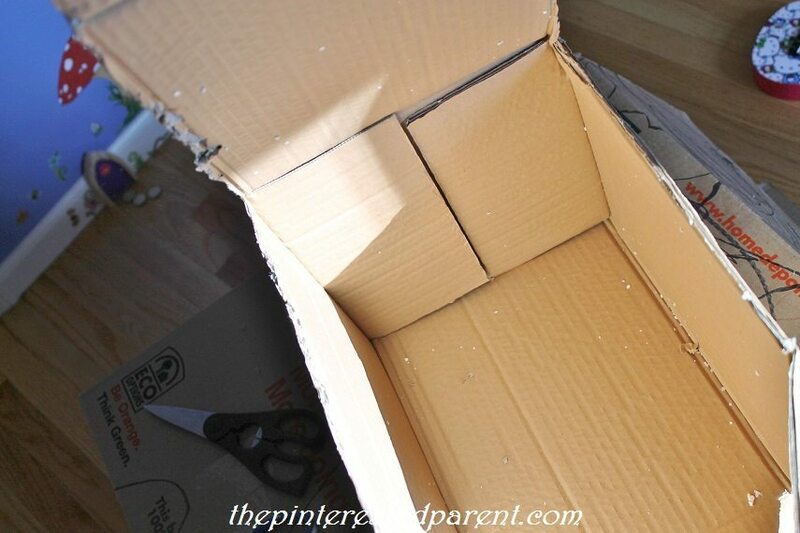 Glue the bottom of the box back together. Bring the front part of the box up and curve it to the arc. Glue it into place. 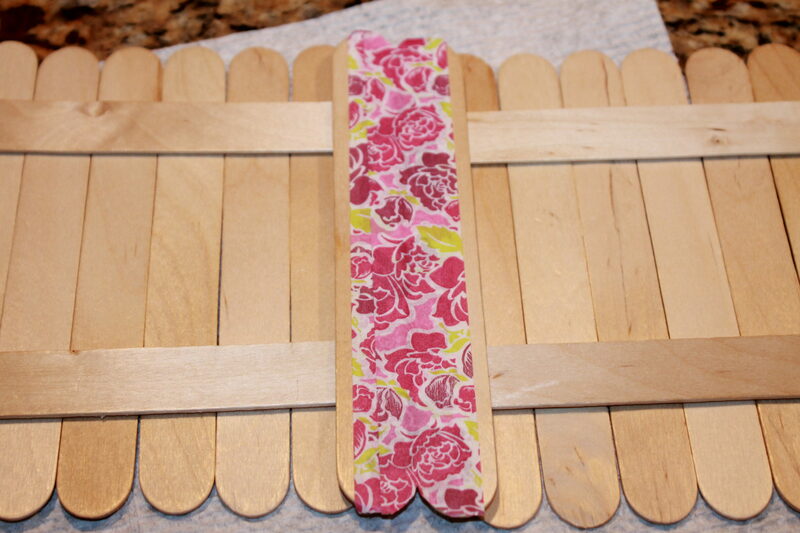 Trim the sides & fold the top front flap in half & then fold it down so that it is flat across the top. Fold the back flap in half & fold over so that the first fold is flat & that the second fold aligns with the top of the register. 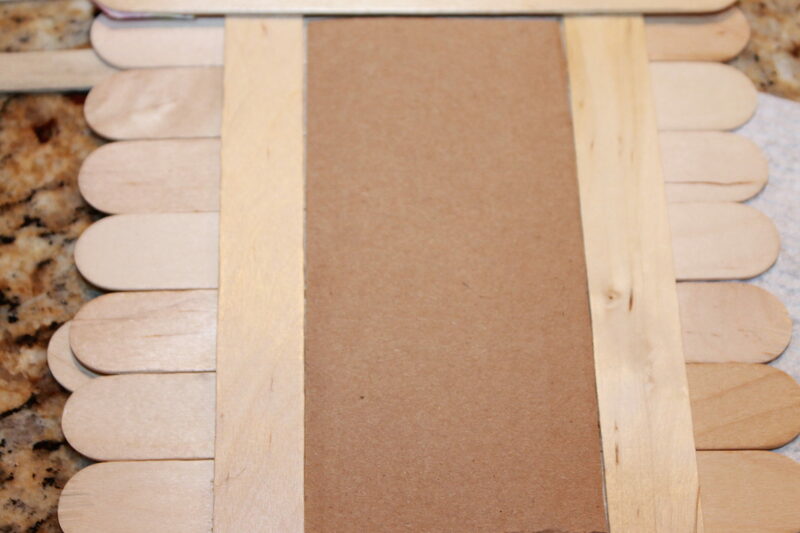 Use the leftover piece cut from the arc to form a drawer by creasing the edges about an inch in on all four sides. Fold up the creases and glue the seams into place. 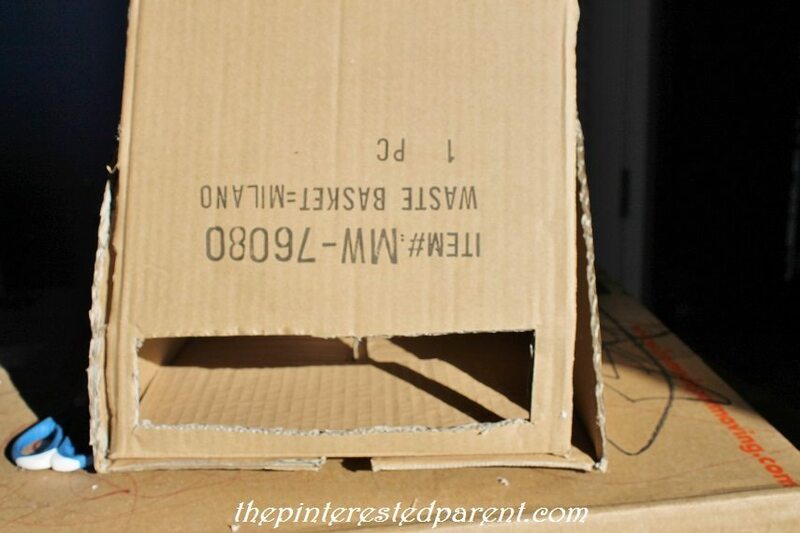 Use the other leftover piece of cardboard to cut a rectangular piece that will fit on the register as its face. 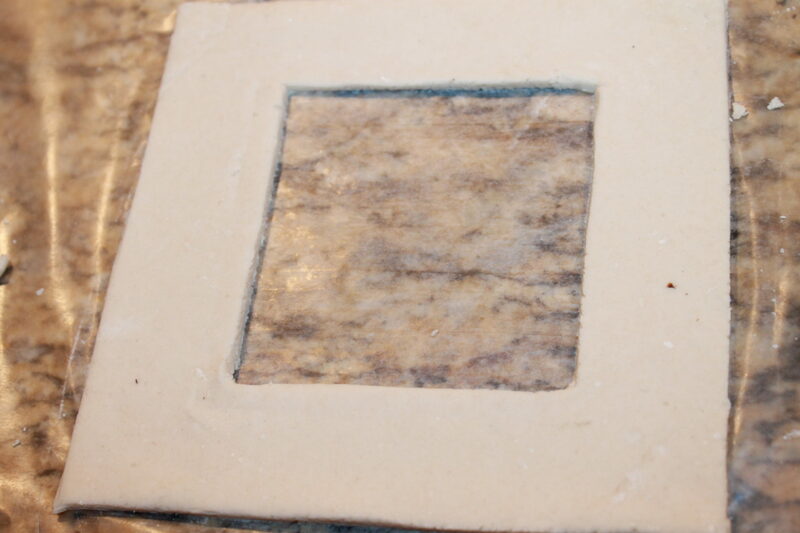 Paint your register & rectangular piece in the colors of your choice & let dry. 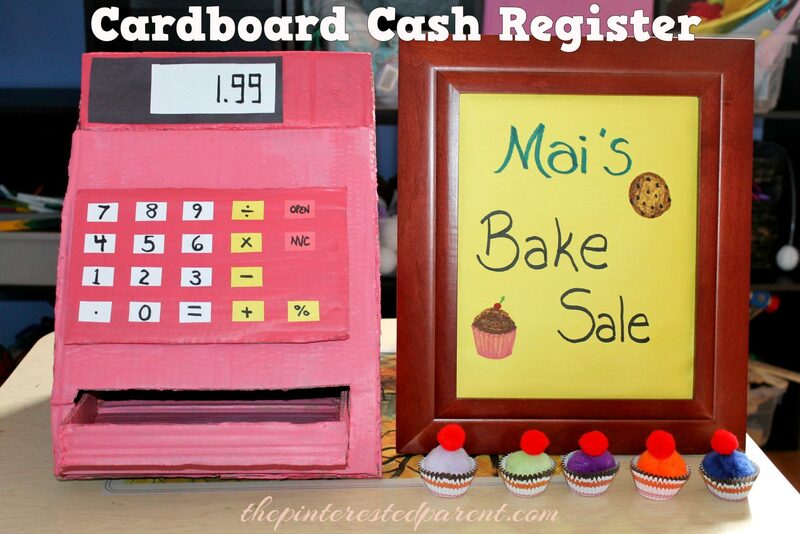 Cut the keys & a register screen out of construction paper & write in the numbers with magic marker. Glue all the pieces into place. This took very little time to make & put a big smile on my daughter’s face. Mai’s bakery is now open for business. This was a spur of the moment project, so I apologize for the lack of photos. Please let me know if you need further instruction. This year because of our living circumstances we will only be putting up a Charlie Brown Christmas tree. As all of our ornaments & decorations are buried in storage until after Christmas, my husband suggested that we hand make all of the ornaments for this tree. Challenge accepted. We already have made a few here & there throughout the season. Last night we made a couple more for our tree. 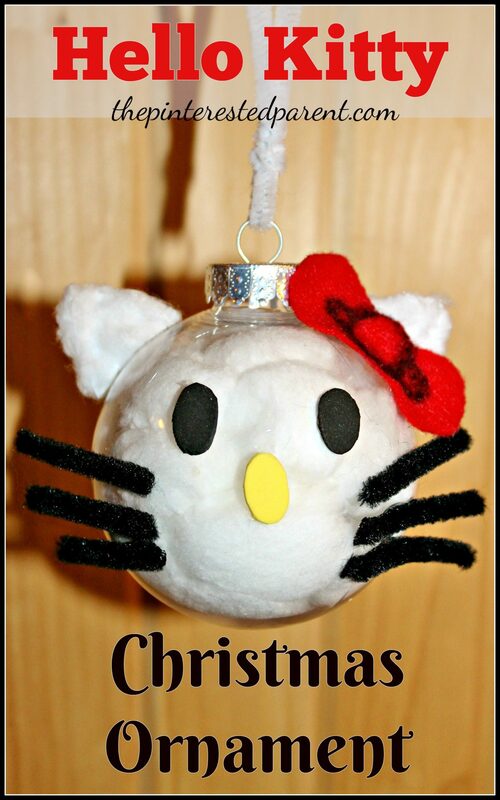 My daughter loves Hello Kitty & since she is such an easy figure to make, that was our first project of the night. 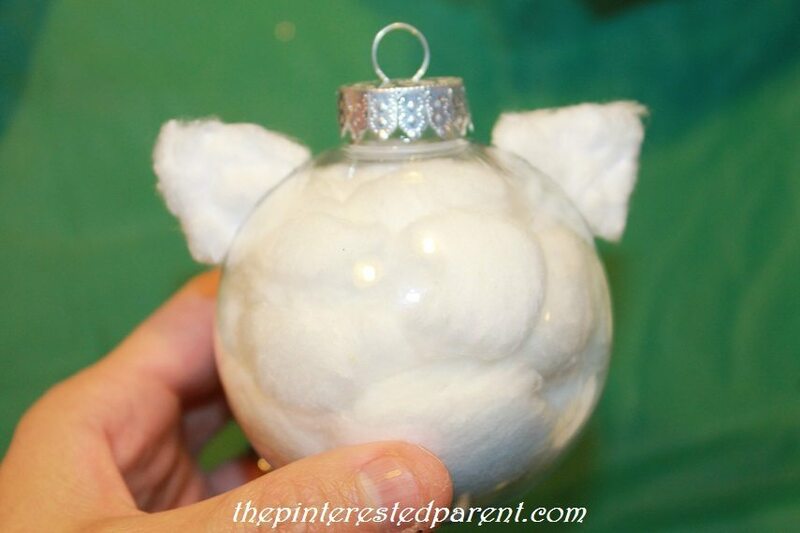 Stuff the inside of the ornament with cotton balls until jam-packed. My daughter loved this. 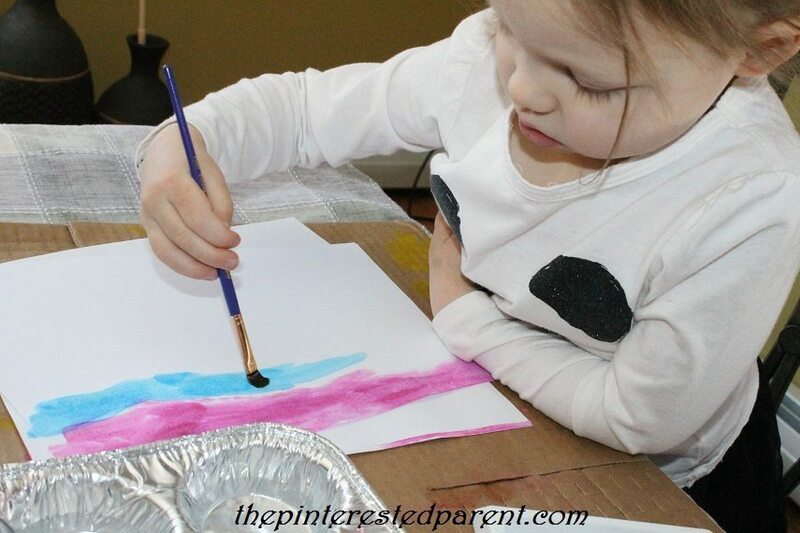 This is a great fine motor skill activity too. 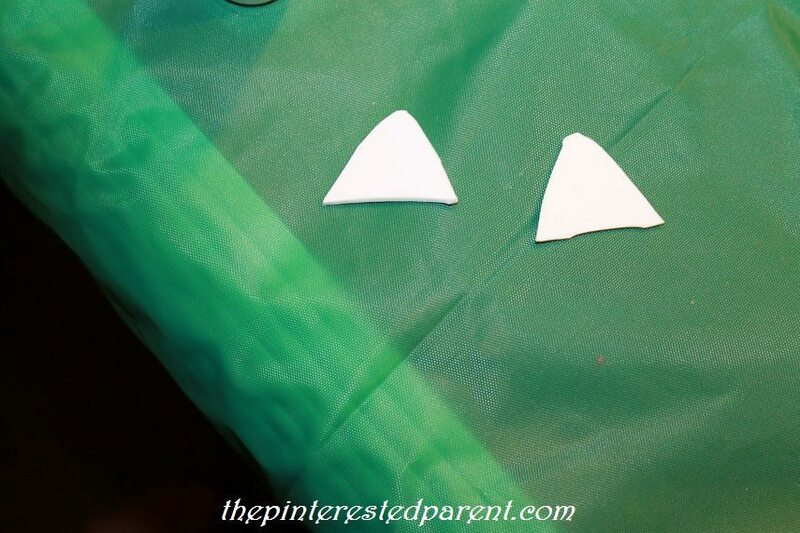 Cut two triangles for ears out of the white foam. 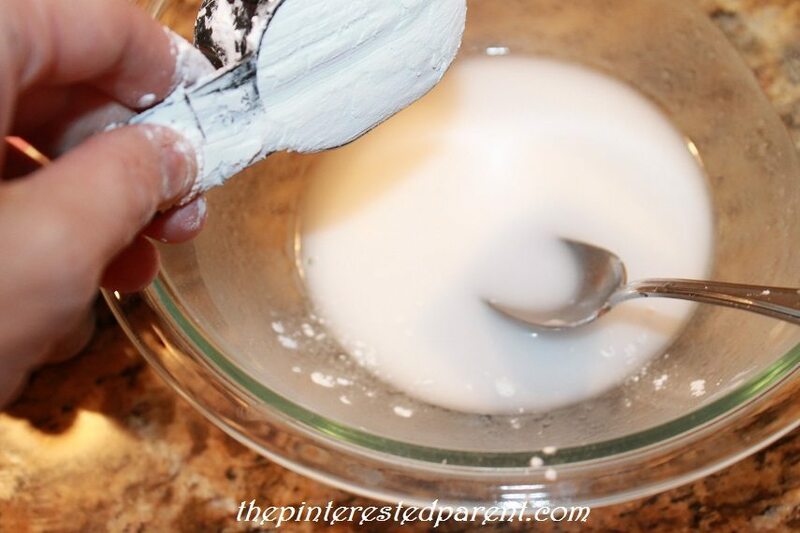 Put glue on the front & back and cover in a light layer of cotton. 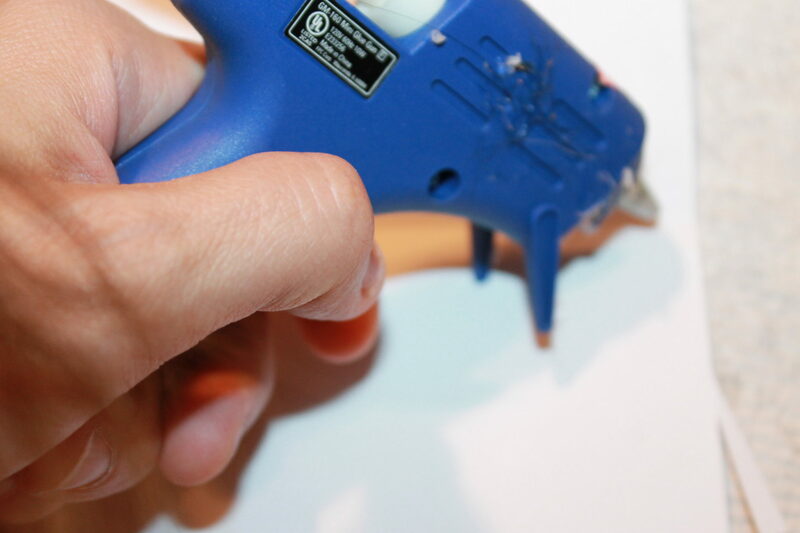 Use the hot glue to glue ears into place. For best results apply glue to the ear not the ball. Cut 2 black ovals out of the foam & one yellow one. 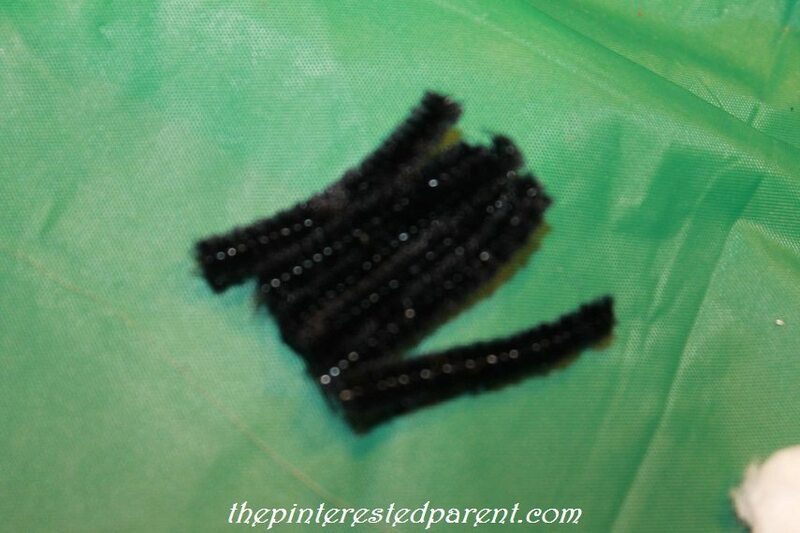 Cut a pipe cleaner into six equal pieces & cut a bow out of the red felt. 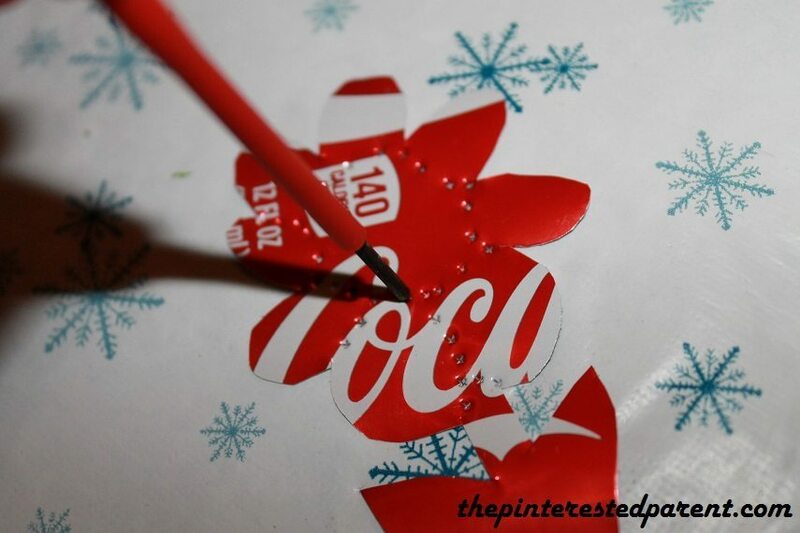 Use a Sharpie to draw in detail on the bow. 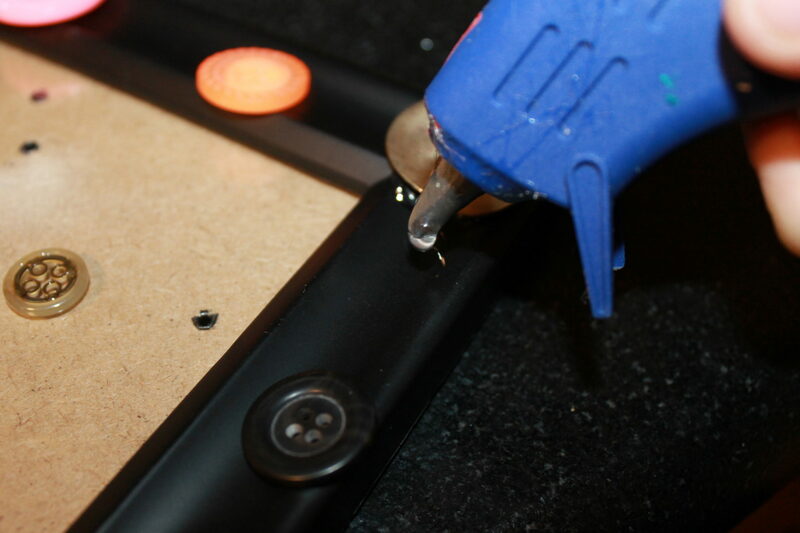 Glue all pieces into place using the hot glue. 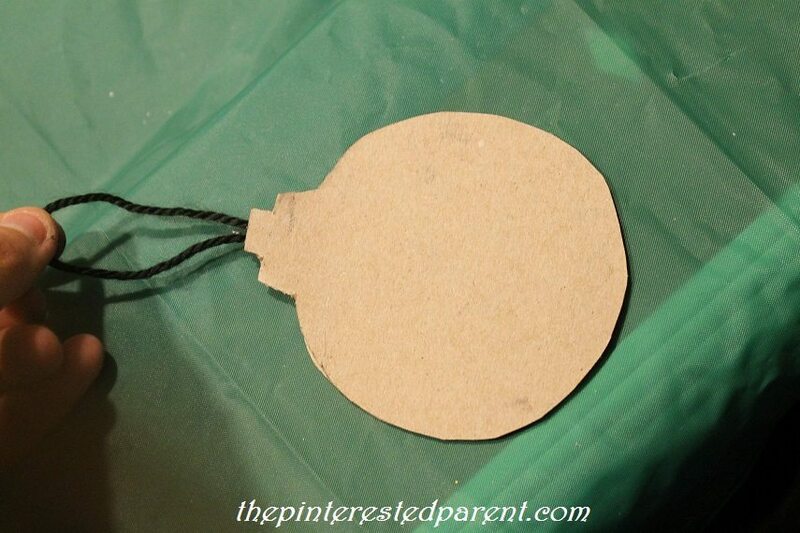 Buy hooks for your ornament or use a pipe cleaner or string to hang. We made one more ornament. Mai loves to draw & I adore her drawings. 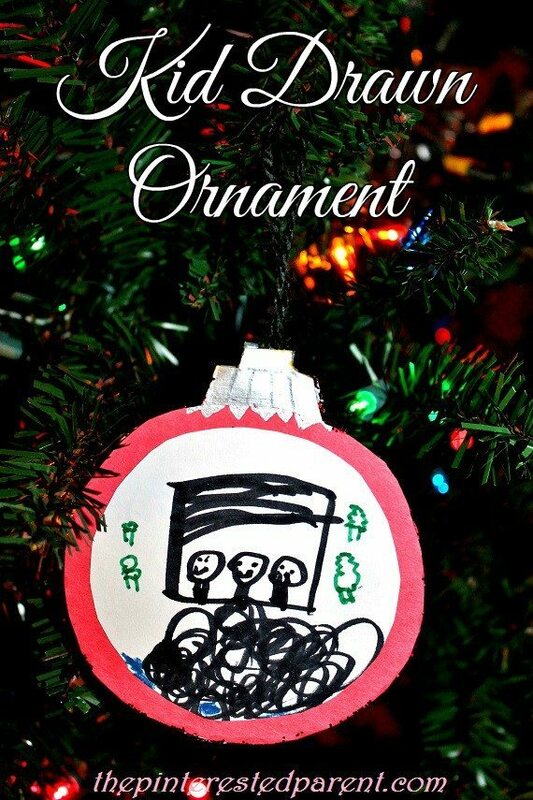 I wanted a hand drawn ornament for our tree. 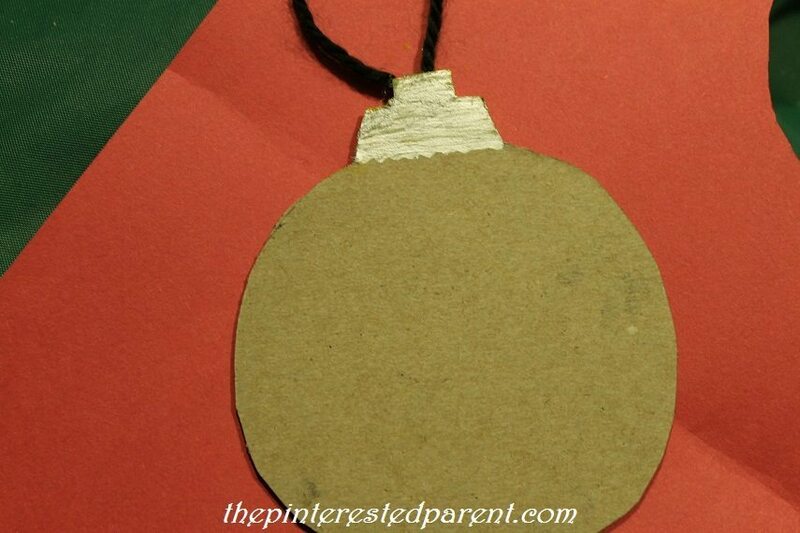 For this ornament, I drew & cut out 2 identical ornament shapes out of an old cardboard food box. I glued them together with a loop of yarn in between. I painted the top portion silver & let it dry. 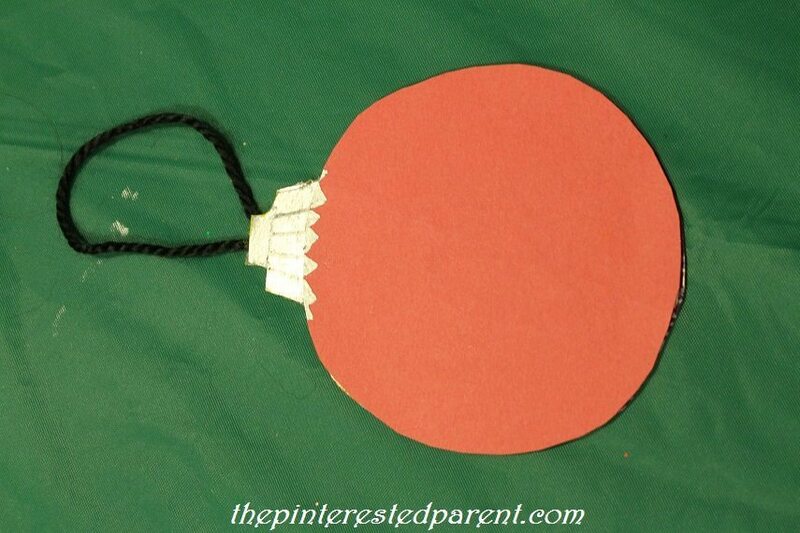 I glued the ornament down onto a piece of red construction paper & then cut the excess off to form a circle. I did this for both sides. I cut two smaller white circles & gave them to Mai. I asked her to draw on both pieces. 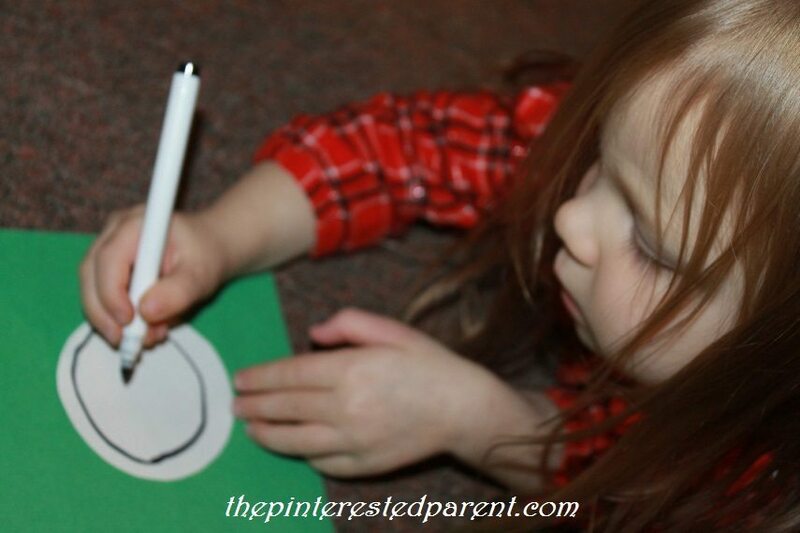 While she drew, I added a bead of glue around the edge of the ball & sprinkled glitter on it. 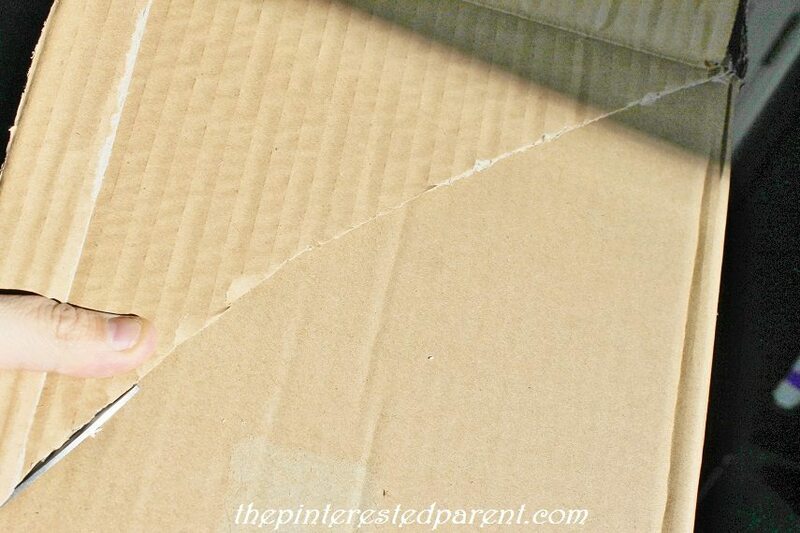 It gives it a lovely sparkly outline & covers up the seam where the cardboard & the paper meet. 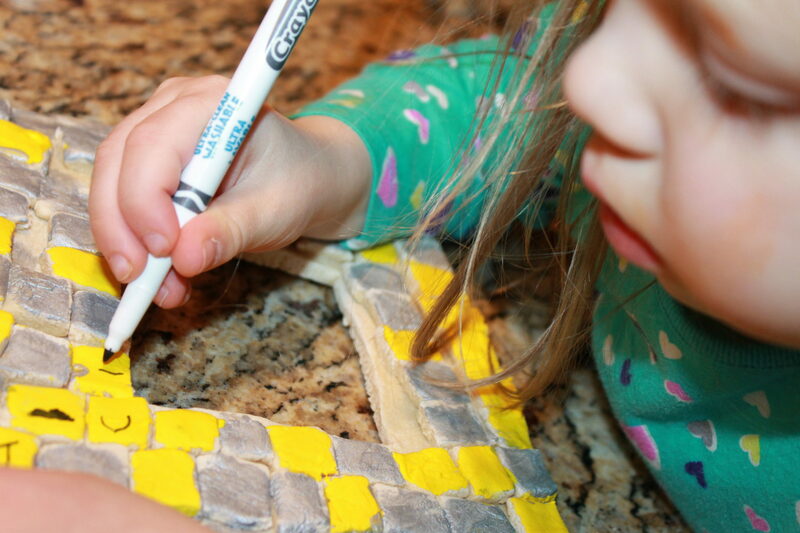 When she was done drawing, I glued her drawings on both ends. This picture is of the whole family looking out the window. I will treasure this one forever. We recently went on vacation. While on vacation we took a few days to visit with my husband’s uncle. During our stay at his uncle’s house, Mai was offered some magnets to play with. 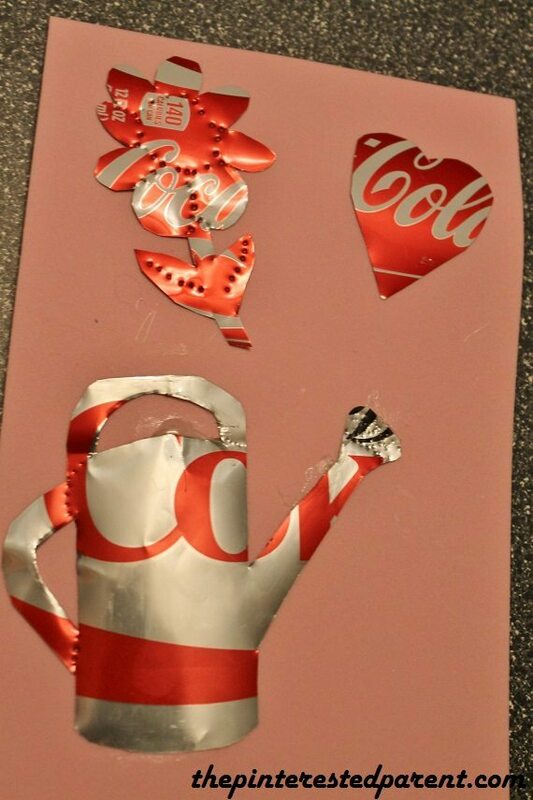 In the pile of magnets, I saw a magnet made out of a Coke can & thought it was extraordinary. I studied the magnet & it looked like an easy enough design. 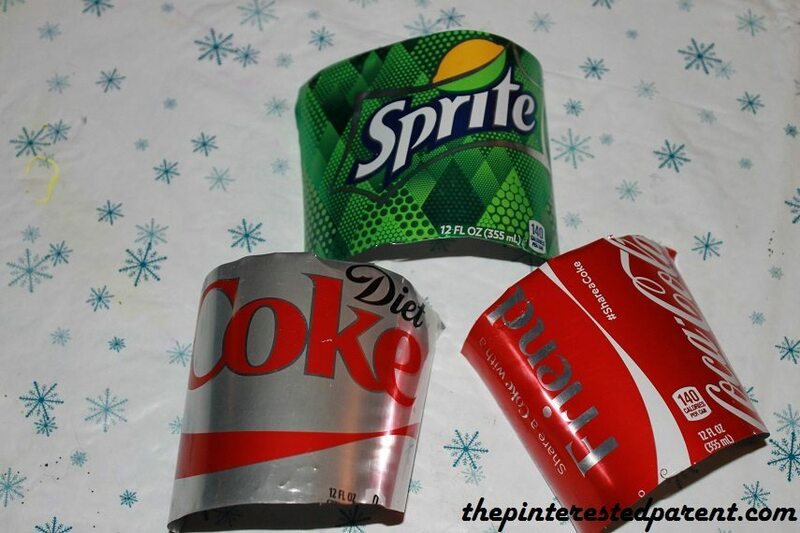 When we returned home, I went on the hunt for soda cans to see if I could make my own. 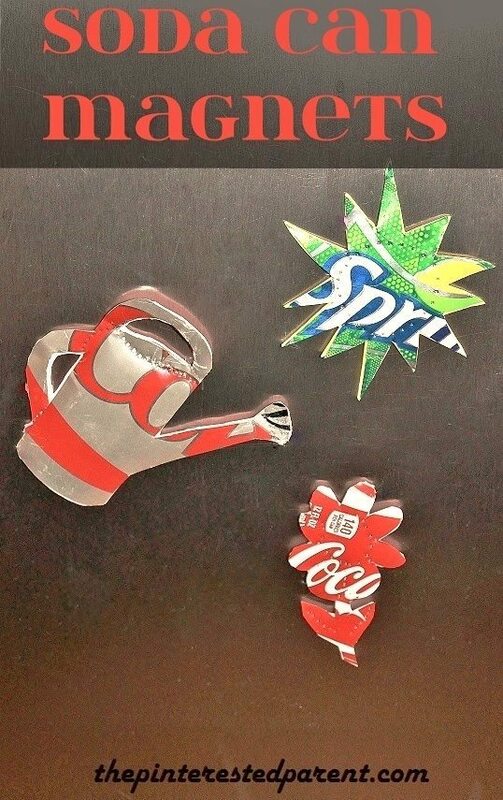 I managed to collect Coke, Diet Coke & Sprite cans thanks to my friends at work. Here is all that you need to do. 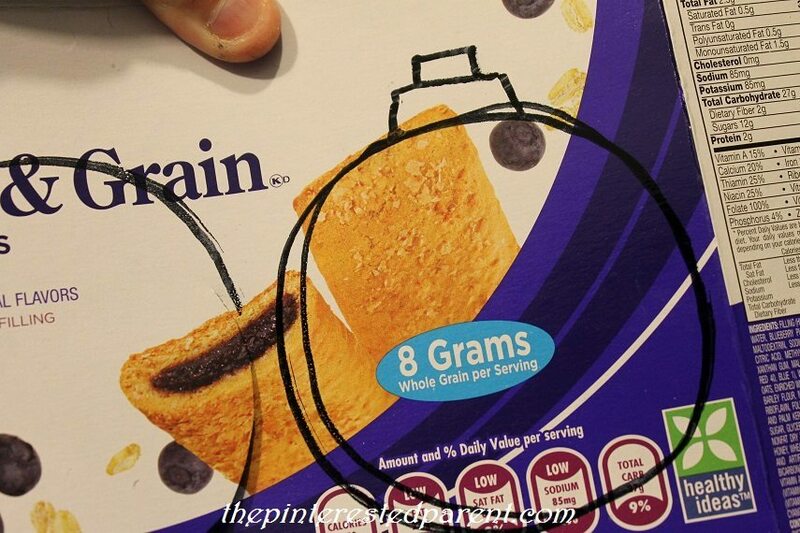 Rinse out the inside of your cans. 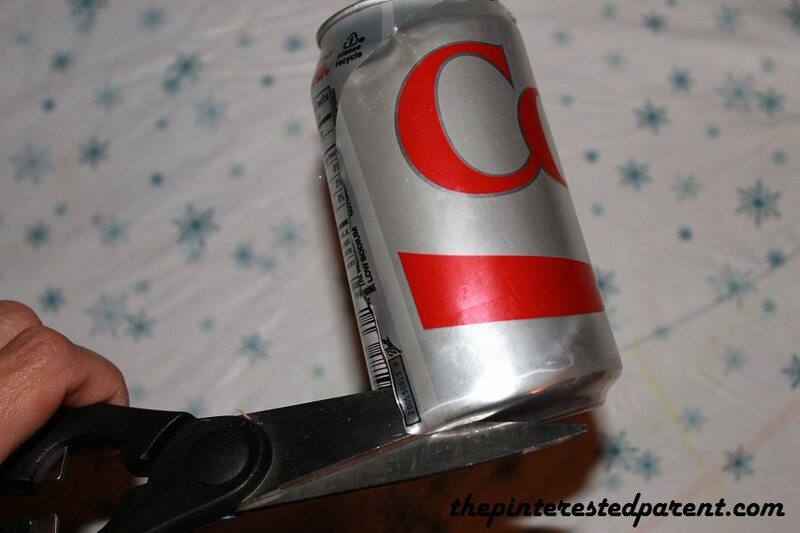 Cut into your can and cut out the inside portion removing the top and bottom of the can. 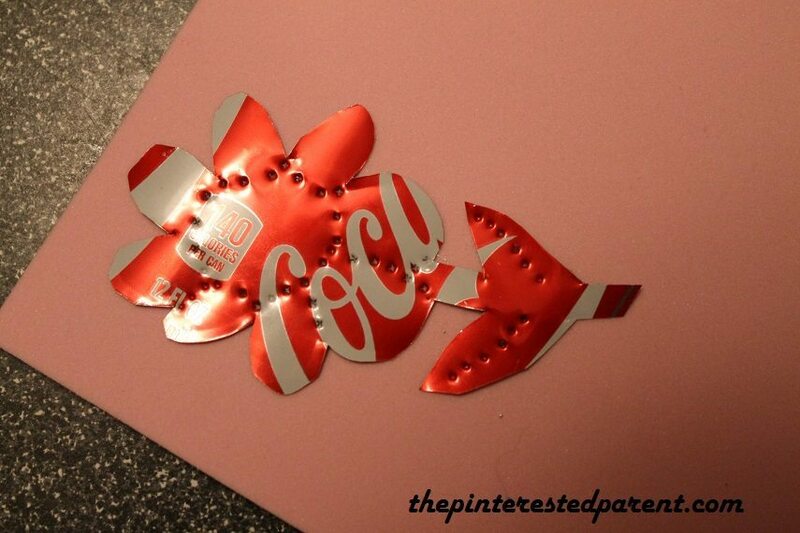 Wipe off any water or residue and lay your can cutouts out flat. 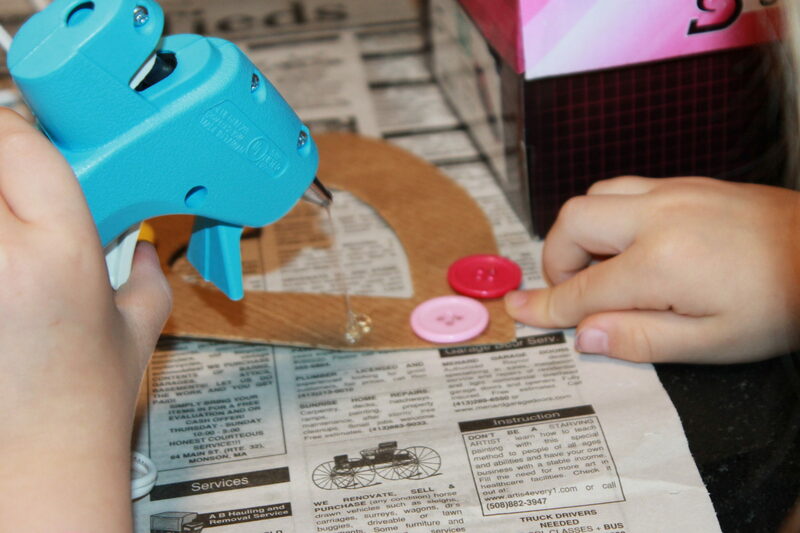 Draw out the shape or design of your magnet on the inside of the can. 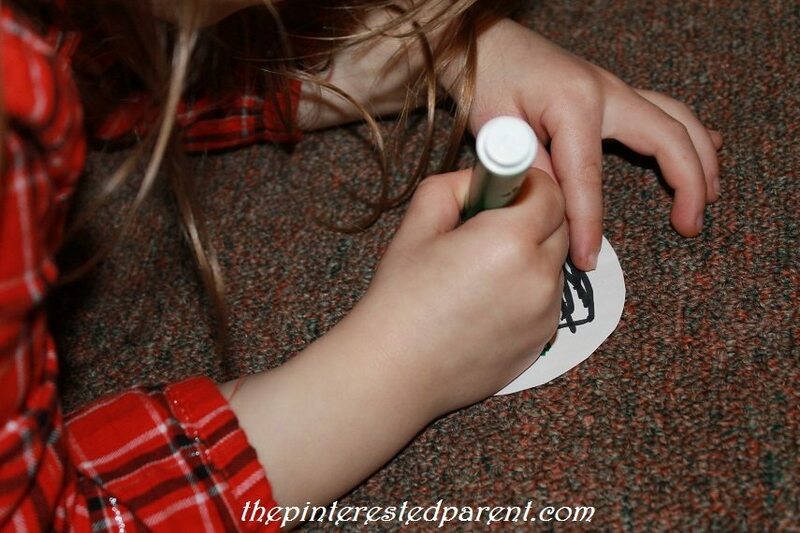 Use the edge of a pointy object to stamp in details for your magnet. We used a skinny Phillips head screwdriver. 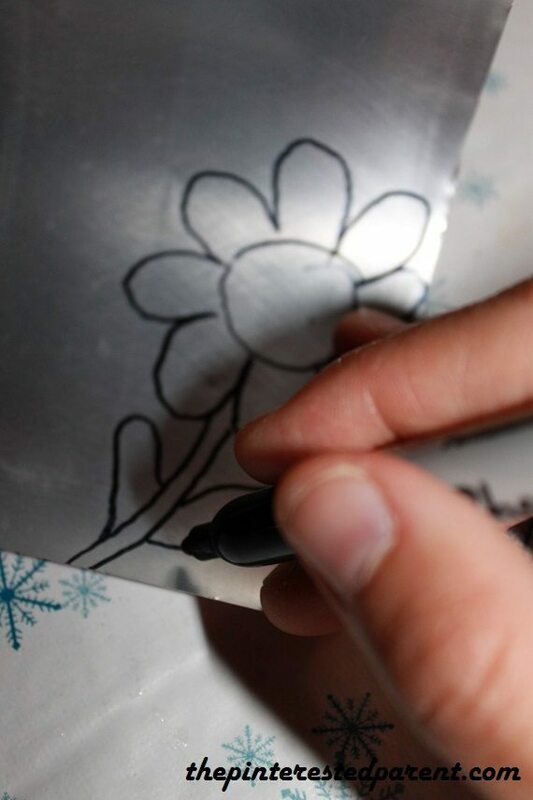 Glue your can print side up onto a piece of foam sheet. Cut around your design again. 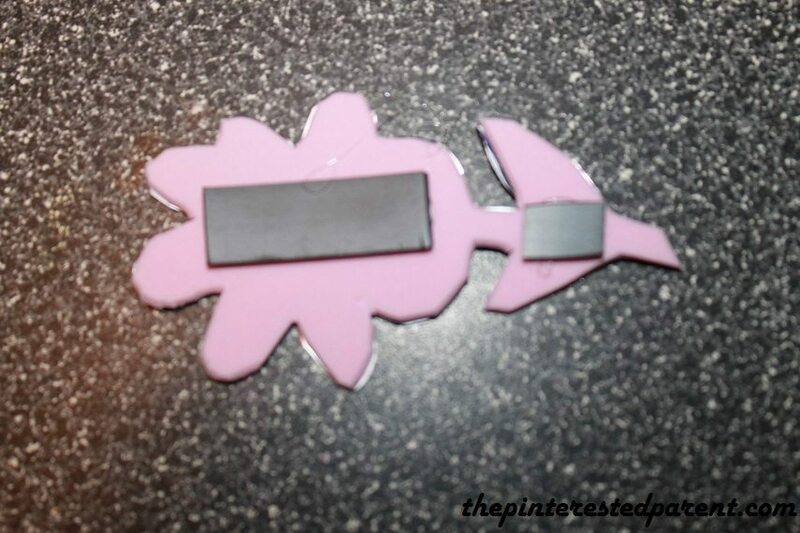 Glue pieces of magnet to the back of your foam.